The most technically advanced bidet seat we sell, the Infinity XLC-3000 features ceramic instant heating for precise temperature control, unlimited warm water supply and improved twin moving nozzles with pulse, bubble & massage options. The exclusive hot/cold water cycling & sitz-bath features provide comfort and aid in healing. 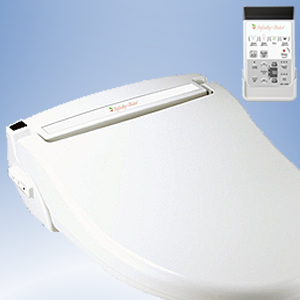 This energy efficient bidet seat is packaged with a complete 3-year warranty, which covers 100% of parts and labor–the best warranty in the Bidet Seat industry.